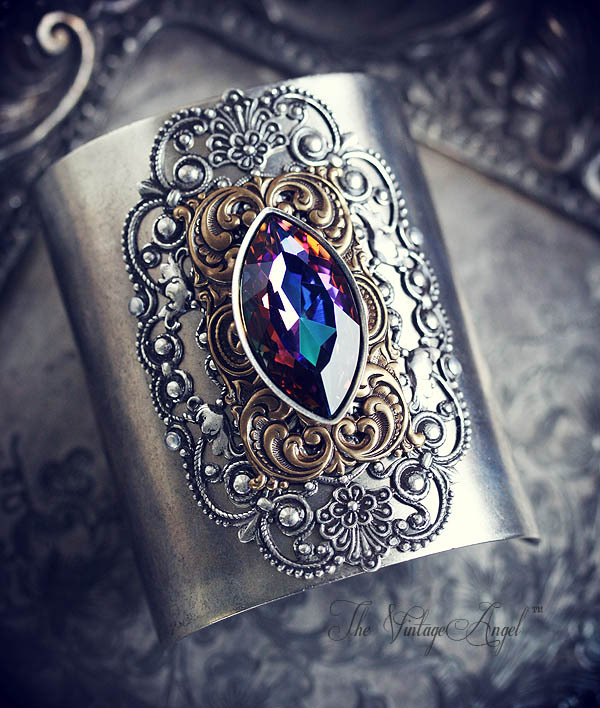 An elaborate, bold fantasy cuff bracelet fit for a queen. 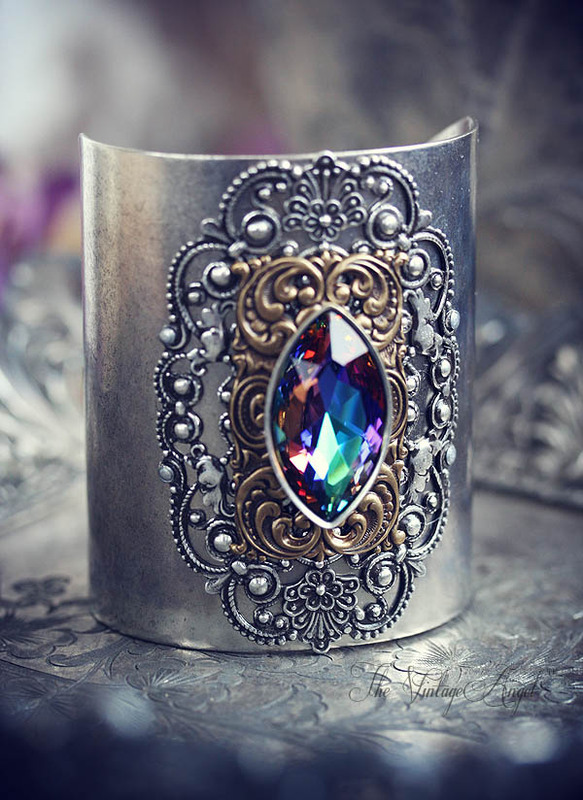 An extra tall, 3" sterling silver plated cuff with an antiqued finish has been layered with Victorian style filigree stampings in both antiqued brass and silver tones for a unique, mixed metal look...leading up to a spectacular Swarovski marquis stone in dark rainbow (crystal is over an inch tall) snuggled safely in a bezel cup. Assembled with rivets for added durability. 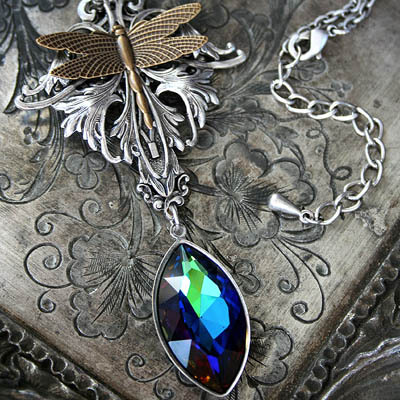 All metal is American-made brass with sterling silver plating, free of lead and nickel. 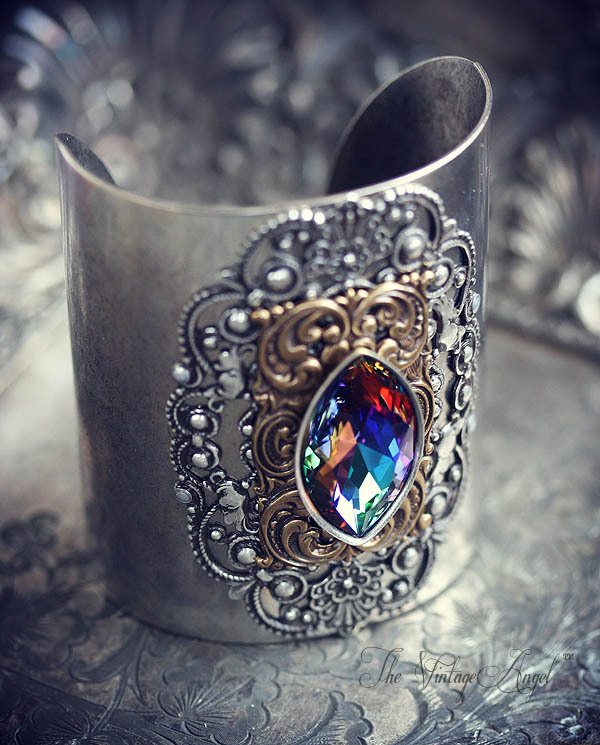 Our widest cuff, at 3" tall. Approx. 7" around on the inside. Cuff adjusts slightly (open in back) to fit most women. Comes beautifully packaged in a velvet gift pouch.